Do you want those new jeans to look better and last longer? ENERGY STAR® certified washing machines will do that and more. Click here for the whole story. 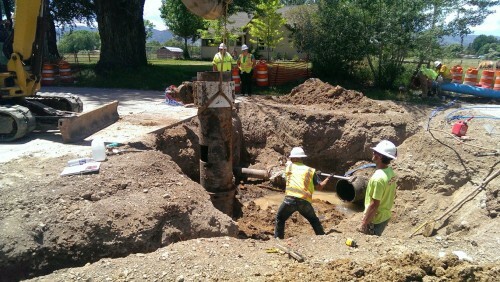 Fort Collins Utilities has an ongoing infrastructure improvement program that prioritizes the repair or replacement of water and sewer lines. Crews at the Taft Hill Waterline project remove a large section of outdated waterline in June of 2014.